Segneri comes to Harvard Business School with a broad range of leadership experience in the private, public, and nonprofit sectors, most recently at Bloomberg Philanthropies in New York City, where he was a senior leader on the Government Innovation team. In that role, he developed and led initiatives at the foundation founded by former Mayor Michael R. Bloomberg (MBA 1966) to promote public and social sector innovation and spread proven and promising ideas among cities. From 2010 to 2012, Segneri was an advisor to the then-mayor of the City of Boston, Thomas M. Menino. Serving as an HBS Leadership Fellow during his first year in that position, he led policy development and implementation initiatives and provided management counsel to the mayor and his cabinet officers. Promoted to senior advisor after his Fellowship year, he was Mayor Menino’s chief advisor on service and social entrepreneurship. In addition, he launched and led budget, civic engagement, education, economic development, and public safety initiatives. An honors graduate of Harvard College (2004), where he majored in psychology, with additional studies in economics and government, Segneri spent four years (2004-2008) as a consultant at the Monitor Group in its New York City and Cambridge, Mass., offices before entering Harvard Business School. In his second year, he was co-president of the Social Enterprise Club, which has long been one of the School’s largest and most active student organizations. In addition, he was team leader for the New Orleans Service and Leadership Immersion Program, which brought HBS students to New Orleans to work on various projects after the destruction caused by Hurricane Katrina. 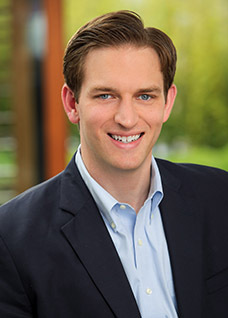 Awarded a Social Enterprise Summer Fellowship, he spent the summer of 2009 as an intern at the headquarters of the Federal Bureau of Investigation in Washington, D.C., working with other interns from MBA programs around the country to help the FBI address some of its most complex management challenges, including the design of a new and improved promotion process for Special Agents.